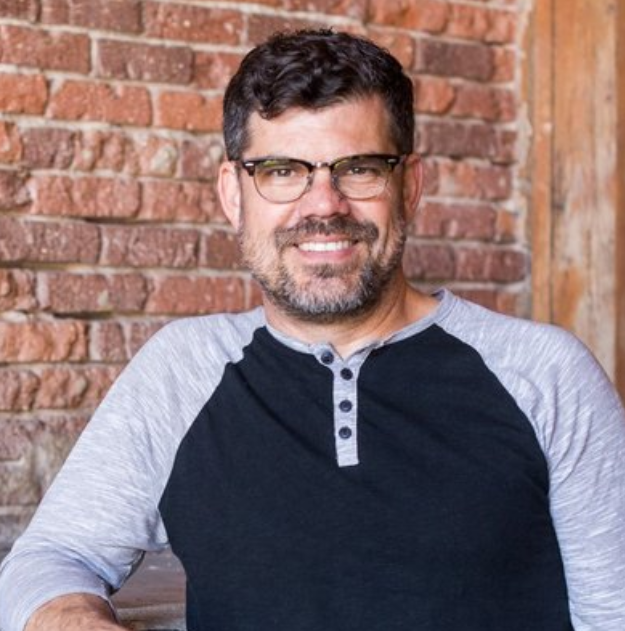 Where Is Ryan Bell’s Crowd-Funded Documentary? 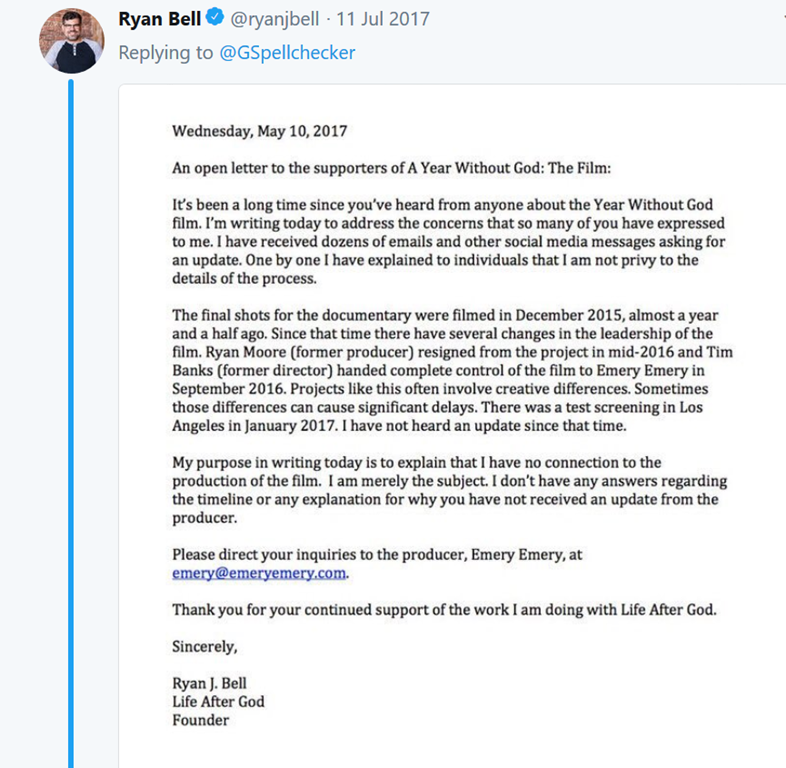 Back in 2013 a Christian pastor named Ryan Bell generated a lot of publicity and support from within atheist circles after publicly coming to the realisation that dedicating your time to god wasn’t the smartest life choice for an adult. Before this revelation, Ryan’s admirable support for women and gays did not go down well with his Adventist church, and he was given the boot as a result. In response, he started a blog titled ‘A Year Without God’ which would detail his journey from pastor to atheist. 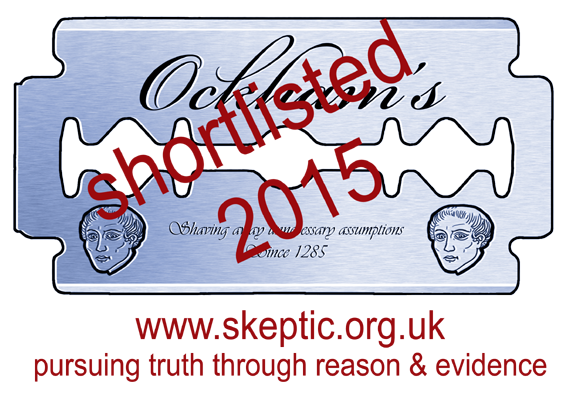 This saw him welcomed with open arms into atheist and sceptical circles—his new ‘apostate’ status earning him a plethora of high-profile speaking engagements at atheist/sceptic conferences and endless media appearances on related platforms.At some point, the decision was made to capitalise on this good will with a documentary centred around Ryan’s ‘story’. An INDIGOGO crowd-funding page was set up for the ‘A Year Without God’ documentary in 2015, generating a total of $27,373 from donations. I would wager a significant portion of that total was thanks to the generosity of atheists. I interviewed Ryan and the original directors about this project in 2015. Ryan now has a blue tick verified Twitter account, with a Wikipedia page of his own. The opportunities generated by this project in sceptical circles continue, with active positions afforded to him as an organiser for Secular Students and a role as a ‘Humanist Chaplain’. In fact the only reason anyone knows who Ryan is outside of his original congregation appears to be due to the good-will afforded to him for this project in atheist circles. This makes his willingness to distance himself from it all the more peculiar. 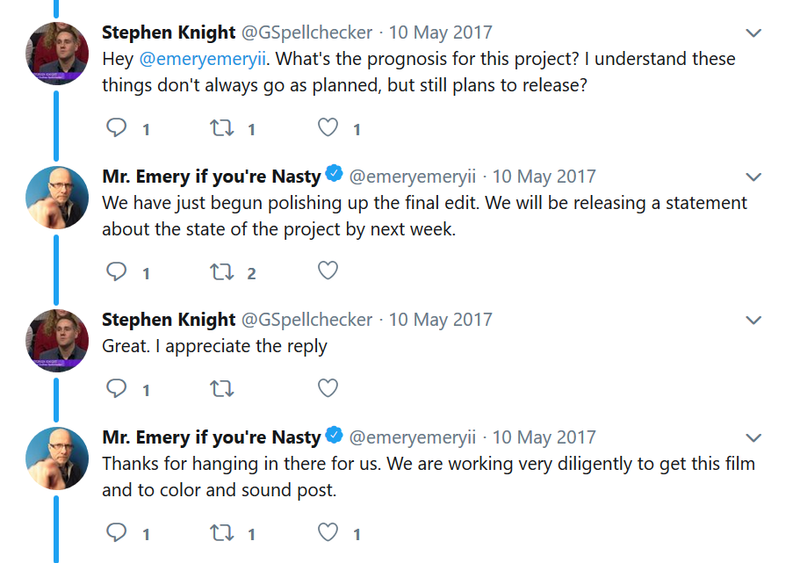 Over a year later, I have reached out to Emery again for an update, but as of yet, I am yet to receive a response. Many perks were offered as incentives for cash contributions towards the production of this movie. For instance, contributing $70 for the ‘Keeper HD’ perk bought you the promise of a special, limited edition blu-ray edition of the movie. The estimated delivery date of this perk was confirmed as February 2016 via email to backers. 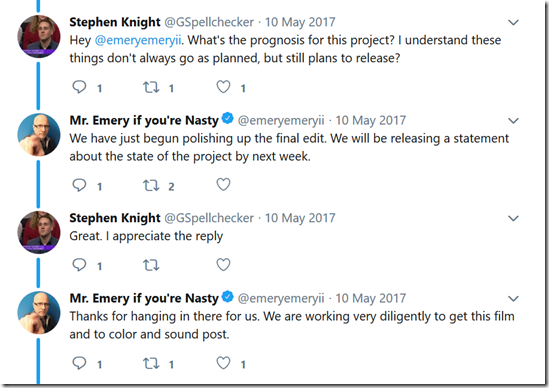 Over 2 years later, contributors are still in the dark as to if and when they will see the film and whether they will receive what they were promised. I think it’s only reasonable that we should expect an update on the status of this documentary after so much silence and be assured that contributors will receive what they were promised. With the extended delay, my concern is that such a project has become almost irrelevant. Keep in mind, the backdrop and featured interviews for this project exist in the context of a pre-Trump presidency and prior to the full emergence of the Islamic State. In an era of Islamic fundamentalism, we have thankfully become increasingly aware of the horrifying and unique plight of Ex-Muslim ‘apostates’, and as such, the journey of an one American pastor doing what many of us managed to do in our teens, but to great adulation and success feels a little quaint. 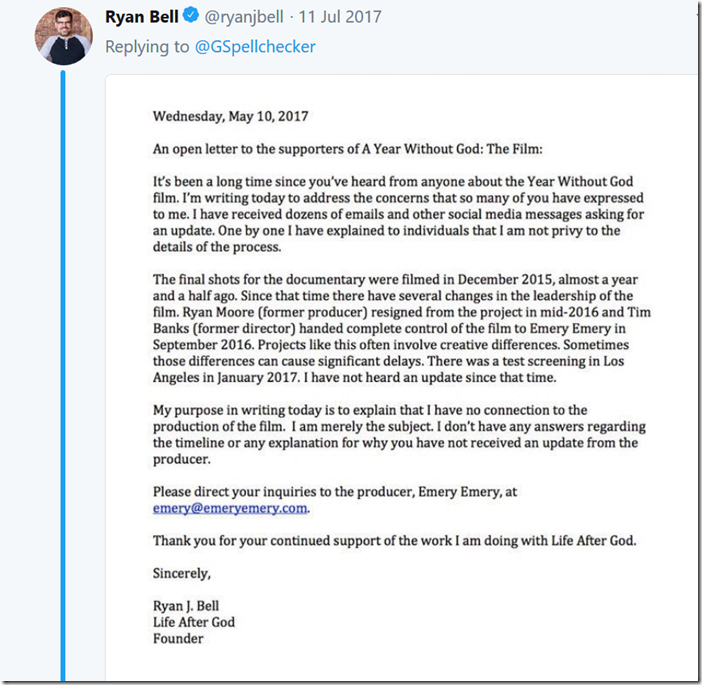 Also, given Ryan has seemingly distanced himself from the movie and spends a considerable portion of his time attacking the ‘atheism movement’ and its prominent figures, it’s difficult to know how this movie can be sold to its target audience of active atheists when its subject seemingly harbours such disdain for the movement and the very people that held out a hand when he needed it. I have reached out to the original directors Ryan Moore and Tim Banks for comment, but they have not responded to my email queries at the time of publishing. Good to hear from you. First off thank you for your support when we were working on the film a few years back. It has been quite a journey for me and everyone involved. I can’t speak for other parties but I’m happy to share a little bit from my perspective. Back in the end of 2015 I was working with an editor and we finished a cut of the film that I know needed some more work, but was headed in the right direction tonally, structurally, and represented people in the best possible way. Following the screening of that cut, there was a number of people who had varying opinions involved in the project, and it slowly became something that I wasn’t happy with. Creative differences became so strong that I was forced to move away from the project. However given time over the past couple years and it has not been finished, I have now recently taken the project back and am actively working to finish the film. It was extremely tough and emotional for me to let go of the film as it was something that was very personal to me, but now I am the process of revisiting that with a newfound perspective. After leaving the project I went back to being a full-time freelance cinematographer and that has kept me busy, so now I am having to juggle that with finishing the project. Our editor has been very busy finishing up other projects and we are finally able to align our schedules to get back into it at the end of this month (July). I slso [SIC] reconnected with Ryan Bell and shot a little bit of stuff with him and what he is doing now and I think it gives some nice perspective to the film that we wouldn’t have been able to get immediately after his Year Without God. I know communication with backers has been poor and I take responsibility for that. I opted to not keep giving updates of “coming soon” when I wasn’t sure what was going to happen. I felt like I let everyone down and I realize silence was not the best solution to that. I hope everyone is still excited to see the story even though it has been a few years out now, but I think a lot has changed in the world and the community in general in that time and I feel it still has relevance today. If you have any more questions I’m happy to answer them. It would appear the documentary is still moving forward. I will pick this back up again at a later date. Hey Steven – I just read this article. And had totally forgotten that this movie was supposed to have come out. Oops. Let’s not forget Martin Wagner (Atheist Experience) taking almost $20k for a film he never finished. Good luck. He stopped replying or acknowledging a couple of years ago. I’m doing my Patreon thanks on the very next episode. Not done them recently! Send me a message via Patreon if you’d like an extra message read out. Thanks for the support!